I’m talkin’ about a place where the beer flows like wine. Where beautiful women instinctively flock like the salmon of Capistrano. I’m talkin’ about a little place called Aspen. Fortunately Aspen is known for a lot more than Dumb and Dumber. I called Aspen home for a year and my favorite month was September. The leaves are changing, the air is crisp, its off-season and every week there are free concerts on Snowmass Mountain. Thinking about the fall in Aspen just makes me smile. 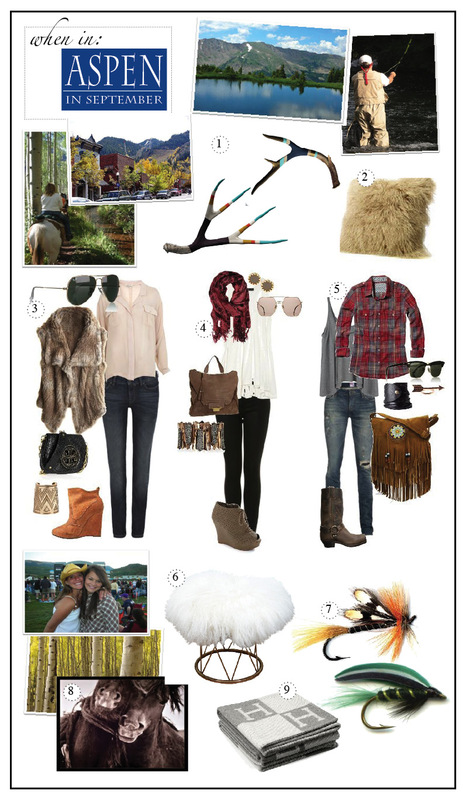 This entry was posted in Fashion, When In and tagged antler, aspen, fashion, fur, hermes, horse, jeans. Bookmark the permalink.